THE Irish Constitution recognises the right to life of the unborn child, and protects that right, along with the equal right to life of the mother. On 25th May, the Irish people will vote in a referendum on whether to remove that protection and allow the legalisation of abortion. The abortion law which the Irish Government plans to introduce if the 8th Amendment is repealed would be one of the most liberal in Europe. Like the British Abortion Act, it would allow abortion up to viability (around 24 weeks) on vague mental health grounds, but it would also allow abortion for any reason whatsoever during the first 12 weeks of pregnancy. There is no reason, no matter how trivial or abhorrent, that would not be grounds for abortion during the first three months. When the 1967 Abortion Act was passed in Britain, most people believed it would allow a relatively small number of abortions. Instead the number of abortions quickly soared. The numbers more than doubled between 1968 and 1969, and increased steadily over the following years, finally peaking in 2007 at 219,454. Today there are close to 200,000 abortions every year in Britain, one abortion for every 3.9 live births. 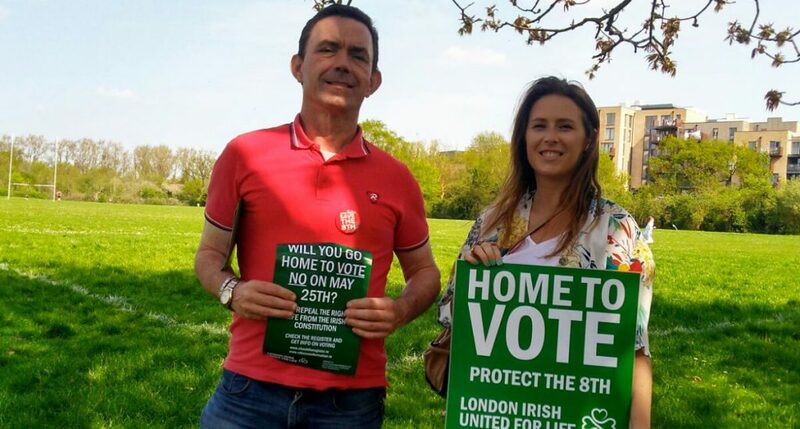 London Irish United For Life is a group of Irish people living in Britain working to raise awareness among the Irish community of the great danger that next month’s referendum poses. We don’t want Ireland to make the same mistake that Britain made 50 years ago. We are encouraging Irish people in Britain to travel home to vote “No”. 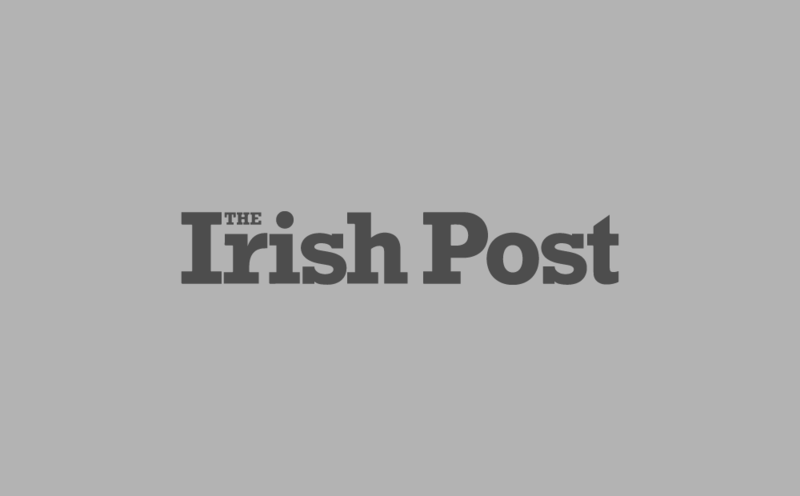 Visit checktheregister.ie and citizensinformation.ie to see if you are eligible. If you are not eligible to vote, speak to family and friends at home and urge them to vote “No”. Tell them what 50 years of abortion on demand and the devaluing of human life has done to Britain. The result is likely to be close, so every vote counts. Please do whatever you can to ensure that Ireland keeps the 8th Amendment. 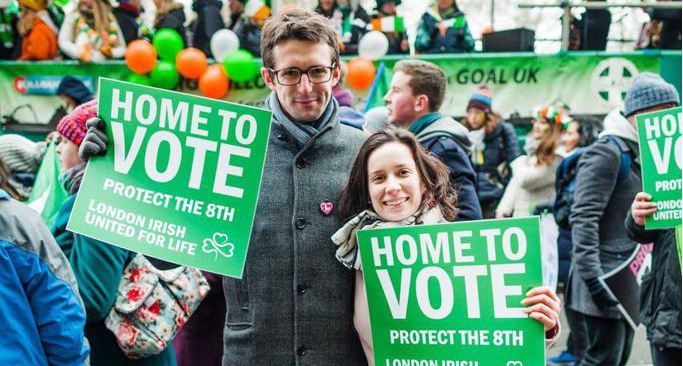 Join us at the March for Life in London on May 5 to defend the right to life in the Irish Constitution. Check our Facebook page www.facebook.com/LdnIrishU4L/ for more information.